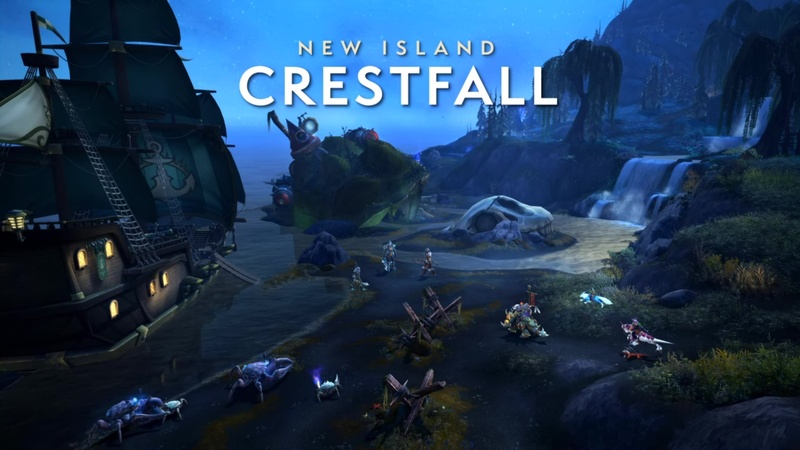 We have got two new islands coming in Rise of Azshara as well: the first one being Crestfall. Crestfall was a Warcraft II map. 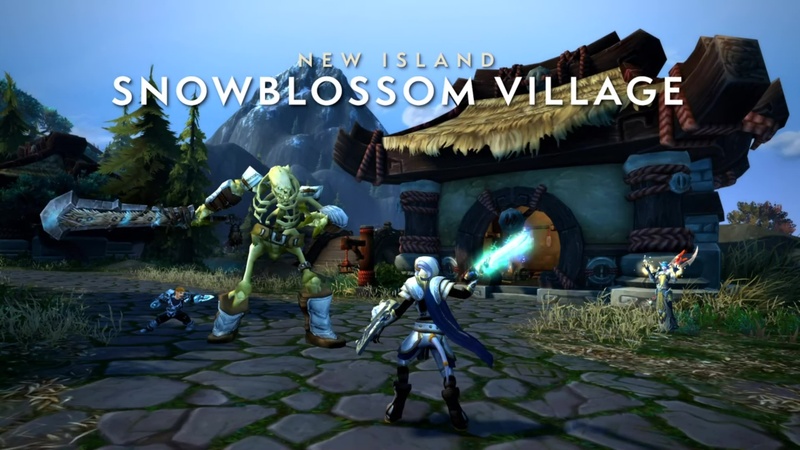 So you are going to be seeing elements of lore, specially if you recently played Warcraft II. Scattered all around this island — such as this beach giant turtle (that the goblins of course used as their submarine) which you first got access to on this map. Long ago, of course, it decayed and died, and now it is home for some crabs, and probably some Hozen, and a variety of other creatures. New humanoids for this group include some ghost orcs, and of course have some new item drops, and pets and mounts, and all kinds of other fun stuff. Just a little bit of a different feeling, we are going to the quiet mountain town of Snowblossom Village. This is inhabited by the Pandaren, but it is currently under attack not only by undead (which you see here), but the ever-present menace of the hopping-bunny-like Virmen. It is going to be your new humanoid group for this island. If you are a fan of Island Expeditions, both of these are awesome spaces to explore.